Simply email us your order, or call 519-354-8807 (9am-7pm Mon-Sat EST) to place your order. Export is available to most places in the world. It is up to each client to understand the legal issues as they pertain to importing in their particular country. We have exported to all corners of the globe and are always looking for new distributors for our product. Please do not hesitate to contact us, and we will be happy to help you cut through the bureaucracy. All orders must be prepaid prior to shipping. Personal cheques must clear into our account before we will ship. Acceptable forms of payment include, Visa, Mastercard, American Express, Personal or business cheque, email money transfer, wire transfer, direct deposit to our account (banking details available upon request), or Paypal. Interac is available to clientele at all trade shows we attend. We do not have a retail facility open to the public. Customers in the Chatham area can call ahead to arrange a “pick up” at a mutually convenient location, usually somewhere just off the highway 401. We travel to the GTA every 2 weeks, more or less, and thus it is possible to meet customers during these trips at pre-arranged locations along the 401/403 corridor between Chatham and Mississauga. There is generally no charge for this. Domestic orders are shipped with Air Canada Cargo. Since West Jet has ceased cargo operations from both the Windsor and London Airports, and has left Windsor altogether we can no longer offer West Jet Cargo as an option. We offer live arrival guarantee on all frog shipments, all year long, within Canada, even in cases of carrier error provided the following stipulations are met. Proof must be provided, generally in the form of photographs, however in some cases we may request the bodies returned to us. In the case of DOA’s, replacements will be offered only if the aforementioned stipulations have been met. We will offer replacements of the same species/phenotype, or if unavailable other species of equal or lesser value (if requested and agreed upon by both the claimant and UE). No cash refunds will be issued. In all cases the buyer is responsible for all shipping costs involved with the replaced animals. Understory Enterprises Inc. offers no specific guarantee on animals after they arrive, aside from them being in apparent good health and overall good condition upon arrival. Failure of an animal to thrive after arrival may be due to any of many different factors, and thus it is often difficult to assess who is at fault. We should be notified immediately of any problems in order to address them promptly to determine the problem and offer suggestions or corrective measures for a possible solution. In some cases, completely up to our discretion, we may offer replacement animals. You should have a good idea of how the animal is doing after three days in your possession. No replacements will be offered after this time period. In cases where replacements are issued the buyer is responsible for all shipping costs. Direct shipping is available with UPS from Toledo, OH. We accumulate orders and Export approximately every 6-8 weeks. Live arrival is guaranteed as long as the box is held for pick-up by the customer at the nearest UPS outlet. This is a hassle free way for US hobbyists to purchase directly from Understory, we handle all the Export Paperwork from Canada and the Import paperwork to enter the US, all the customer has to do is receive the package! Feeder insects are shipped via Canada Post Xpress Post service. A tracking number to track your shipment can be provided upon request. Xpress Post insures that feeders arrive at any destination, coast to coast in 1-3 business days. Sales of feeder insects are for domestic customers only. No live arrival guarantee on any feeders. Please note that having a registered business does not necessarily entitle you to wholesale pricing. You must have a physical retail facility open to the public, or a wholesale outlet from which you supply the trade. Wholesale availability changes daily, please enquire. In order to be placed on a wait list for a certain species not currently available UE Inc. will require a 25% non refundable deposit. 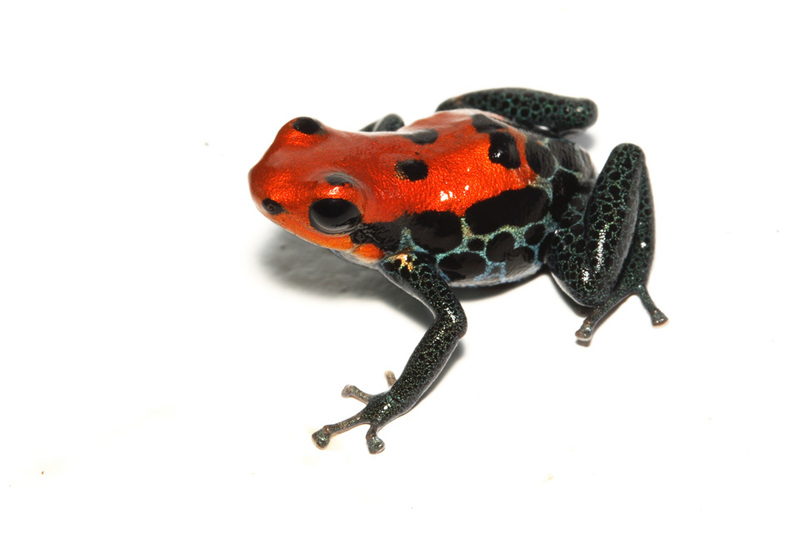 Once the deposit is received we will add your name to the waiting list and will contact you when your frogs are ready for shipping. This policy change is to ensure that only those seriously interested in obtaining stock from UE are on the list. In the past we have spent a considerable amount of time contacting people who had been placed on lists when their frogs became available only to learn they were no longer interested, or to not hear back from them at all. This is a waste of our time and yours, thus if you wish to be placed on a wait list, we require a 25% non refundable deposit effective January 1, 2011. **We will not be compiling waitlists for species that are not actively breeding. This will ensure a reasonable processing time for waitlisted orders. **Those people currently on wait lists will maintain their place on the lists, and will be contacted at the appropriate time.